The First Industrial Revolution (1760s-1830s) radically transformed production and consumption patterns. Transportation improvements allowed vast distances to be traveled, and new goods such as cotton could be traded with highly frequency and efficiency. Mechanized processed using coal allowed mass factory production. Previously, in-home production by the family unit was the norm. The textile industry was at the heart of this rapid development in raw materials (cotton), technology and factory proliferation. Cotton grew in prominence so greatly in this time for a number of reasons. It is much more resilient than silk, linen and wool, so it was easier to work with on primitive manufacturing machines that would destroy other fibers. John Key’s flying shuttle loom, invented in 1733, was instrumental to this end. In addition, the slave labor available in cotton-producing regions made the labor-intensive business of harvesting cotton more practical. The Industrial Revolution produced a great many advances in society, but it also created new socio-economic groups ranging from the profoundly poor to the Industrial Aristocracy. The fashion of the Industrial Aristocracy was drastically different from previous fashions of the traditional nobility. Nobility dressed in tightly fitted garments of bright colors. Precious fabrics, together with precious stones and braids, showed that the person who wore it belonged to the highest social class. Industrialists expressed their “Grand Denial” by wearing full trousers instead of knee-highs, black coats and hats, which were to emphasize their thrift and intelligence. Great importance was placed on the details (hat, shirt, shoes). The modern men’s suit is adapted from this. Since men had become the modest symbol of the “Grand Denial”, women became the means through which their husbands or fathers could demonstrate their wealth and social status. 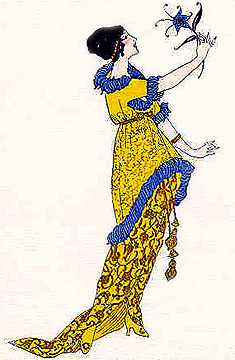 Upper-class women adapted to the S-shaped silhouette with the help of the corset and the crinoline. The corset was used from childhood so that the bones of the ribcage could adapt as the child grew into adulthood. Corsets were also known to induce miscarriages. One fun fact in this not-so-fun topic: the term “straight-laced” comes from corset-slang, if you will. A respectable and virtuous Victorian woman always wore here corset tight. Ladies of ill-repute were “unlaced”. The crinoline was composed of layers of caging, which attached to the corset to create an S-shape. Women in this costume needed a maid to assist in using the restroom. Movement was very limited, and therefore the only women who could afford to dress in this manner were women of great financial means. Further, the half-crinoline was made from 30m of fabric. It was extremely expensive and VERY HEAVY… for the least active of women. Full underwirings were required for all activities except fencing and swimming. FYI, it was absolutely disgraceful for a woman to be seen in her nightgown, even by her husband. Female fashion was strictly regulated by etiquette codes that required specific dresses for different daily activities. These codes served as a method to prevent the trickle-down effect in fashion. Only the very wealthy could perfectly live the coded life with up to six ensemble changes per day. Furthermore, women could not walk, but had to ride in a carriage due to the impediments caused by their dresses. Some examples of coded dressing include: dresses in the “tapestry style” for indoor visits during the day and outrageously low necklines in dresses for the evening (forbidden in the day), where shoes and ankles were never to be seen. The Industrial Revolution fulfilled the two prerequisites necessary for the emergence of department stores: high supply through mass production, and high demand. Department stores, with their large displays, labeled prices and marketing techniques were one of the first steps in the ideal of the “democratization of fashion”. Their catalogs were mailed for free, and showed people how to measure themselves for sizing. In the meanwhile, as mass production was gearing up in the States and England’s textile factories, a man named Charles Worth (also from England) was busy developing a new model for deployment in Europe. The democratization of fashion had given many the opportunity to partake in the fashion system they were once excluded from, but it also gave rise to a call for differentiation on the demand side. The demand of high fashion came as a reaction to the clothes being worn by the lower social classes. Worth started making dresses that showed off the high quality of the fabrics he had learned about from working as a draper. However, people had become interested in the fashion of the dress instead of just the fabric. They wanted something exciting and exotic. 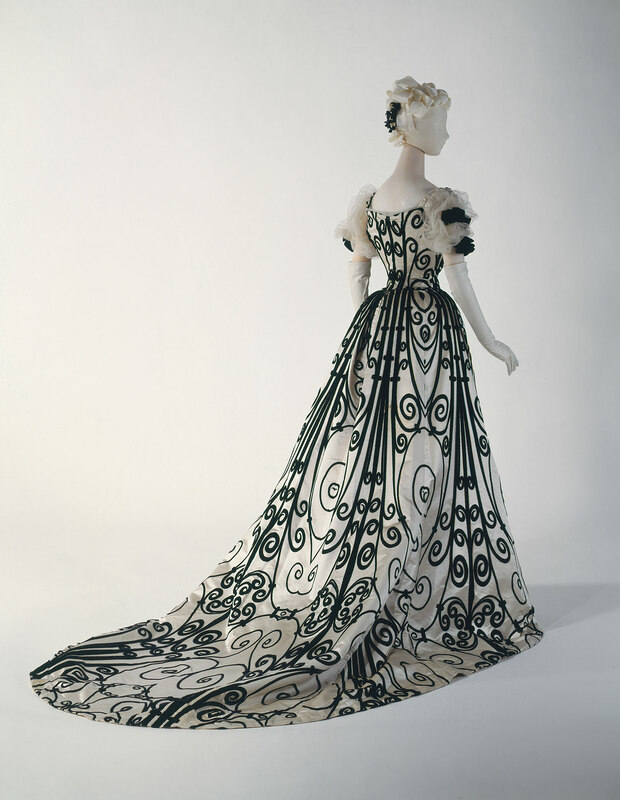 Worth founded his own couture house with much fanfare in Paris in 1858 and was the first designer to gain star status simply by signing each of his creations as if they were works of art. Targeting the European aristocracy and the American market (the world’s richest markets, at that time), Worth personally determined what he would make for each client (as opposed to being ordered to make something), and labeled his creations with his own name instead of his clients’. He did not create a new style, but rather elaborated the existing style (reducing the crinoline and introducing trains as luxurious accouterments, and developed interchangeable patters with the use of a sewing machine. 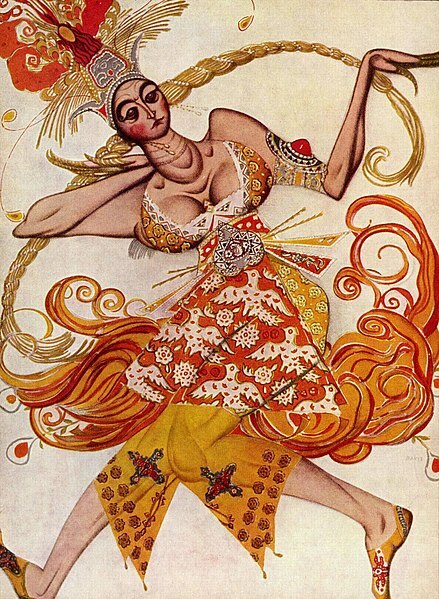 He flamboyantly presented a new collection each year using the first live models (his wife and friends), and this introduced the constant factor of change within the fashion industry. Worth lived a very public life as an acting artist, creating a sense of notoriety and developing himself as a brand. Haute couture was thus born. However, aside from revolutionizing fashion marketing, Worth did little to revolutionize the heavily girdled, contoured and covered “ladylike” look of the femme omee of the Belle Epoch. 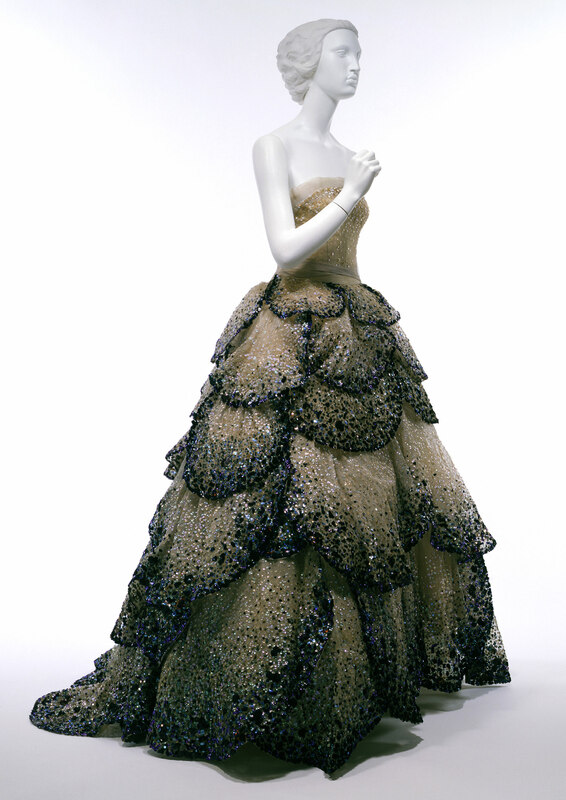 The French system of haute couture made its debut in Paris with the Pavillon de l”Elegance at the World Fair of 1900. Here, a few select fashion houses including Worth and Doucet showed their spectacular creations to an amazed international audience.